Some days, when all I really want to do is work. work. work., what I actually need most is to play. There’s a very real part of me that feels the need to accomplish. I’ve wondered if this is a negative thing – a drive to perform or a search for worth. But I’ve decided it’s not. I feel free of those traps. 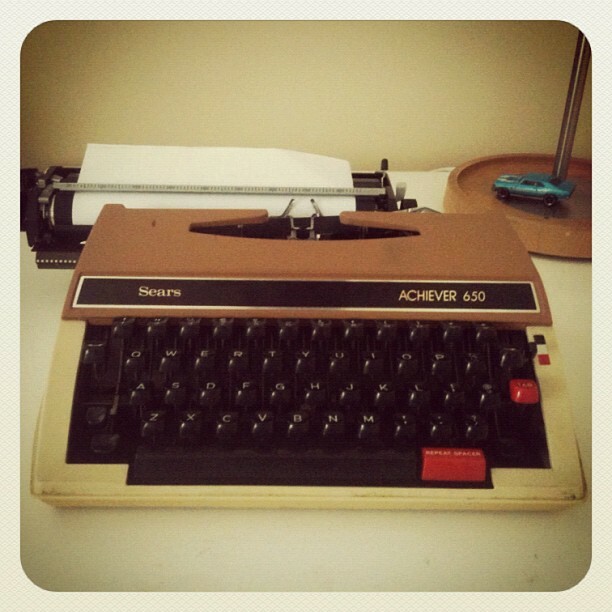 I’m an achiever, an activator, a make-it-happen sort of person. And I’m realizing that, by personality, this need to accomplish will never go away. It’s part of who I am. And it’s not a bad part. It’s good. I just need to know when to say when and realize that during this season, even though my wiring hasn’t changed, I have to change my expectations of what that looks like. Because my reality is very much taken over by little boys who need a present mama. So on days like today when I want to workworkwork, I find it best to get in the car and gogogo. Get out of the house (and away from the pull of THE LIST) and go play. As much as I love making things happen and accomplishing, I’m pretty sure I won’t be sending my kids off to school in a few years time thinking I wish I had accomplished more while they were home with me. I also don’t want to be thinking I wish I had played and enjoyed them more. It’s a learning process. Old habits die hard, but new ones can–and will–be formed. And they are. Being formed. Q for you: What are you working to prioritize at the moment? No one likes to talk about money. At least not on a personal level. We talk about investments and the economy and “out there” stuff, but most like to keep talk of their personal paychecks private. I was totally into it. I mean, like really, really diggin it. There’s a verse in Luke that talks about how he provides for the ravens and how much “more valuable” we are than them. And that’s it! That’s the key! God provides for us because we’re worth it. We’re worth it. Did you catch that? Cuz it goes for you too. He also provides for us because that’s who he is – our Provider. Capital P. That’s what he does. He can’t not be himself. Money can be a difficult thing – when it rules us, when it seems we are in lack, when it’s squandered, when we idolize it, etc. But it can also be a really beautiful thing. Jesus never shied away from talking about money. We need it. We want it. We can even use it as a tool to worship him and bless others. I’m so glad he thinks I’m worth it. Q for you: Do you struggle with talking about money? Did you know that God thinks you’re worth it? I don’t go to church. Or do I? Whenever people ask me where I go to church I stumble and hem and haw and try to find words to answer their question. The truth is, we don’t go to church. At least not in the sense that people are talking about. Both Ryan and I have “home churches” that we love – his in Sydney, mine in Oregon. We love going back to those guys and feel totally at home there. Those churches are places of friendship, connection, encouragement, and worship. They are places that we represent through our service. We consider ourselves an extension of them as we work here in Townsville. But we don’t go to a place we call “church” every Sunday morning. The thing is, we do have a church. We meet with a group of believers several days a week – working, serving, worshiping, praying, growing in relationship. We teach one another, we break bread together, we encourage and strengthen one another. We actually are the church. It just also happens to be our workplace. I know it’s hard for some people to get that. They need a name, a denomination, a set of four walls. Newsflash, yes, I know God. No, I’m not bitter. And no, we are definitely not independent. Sometimes I think we have far more community than I think is even comfortable. The point of church is to gather, serve, grow, teach, encourage, worship, connect. Be the Body. So yes, I suppose I do go to church. Q for you: What do you think church is? 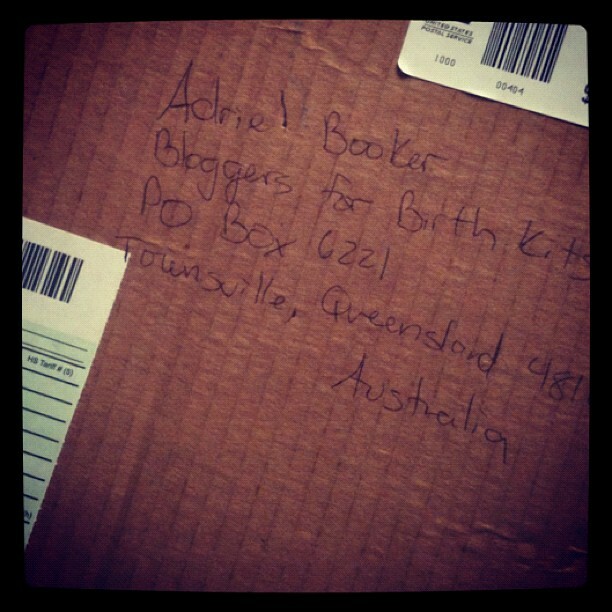 I’ve been working for hours and hours and days now… getting ready to launch Bloggers for Birth Kits on my other blog. Funny how easy it is for a passion to spring up out of nowhere… Something like this that I’d never have dreamed of and yet it makes so much sense. So many of my interests and passions combined: women’s issues, the developing world, birth, motherhood, service, YWAM, blogging, mobilizing, rallying people together, educating. It’s a good fit really. I almost didn’t do it this year because I feared getting too many donations. Last year I wanted 300… and I got over 2000. I just want what God has. I suppose I’ve just been busy. And a little tired. And yet at the same time I feel completely energized by it all. Doing something that has no (or little) personal benefit feels good, you know? So here we go. In eight hours time Bloggers for Birth Kits Mothers Day Drive 2012 will launch. Wish me luck! And come check it out here. Q for you: Have you ever given yourself to something and accidentally discovered a passion because of it? Later this year my family and I will be flying to Papua New Guinea where we’ll board the YWAM Medical ship, hole up in a small cabin, and spend a few weeks serving in villages where access to health care is limited. Along with us will be teams of medical professionals – nurses, dentists, optomotrists, and more. 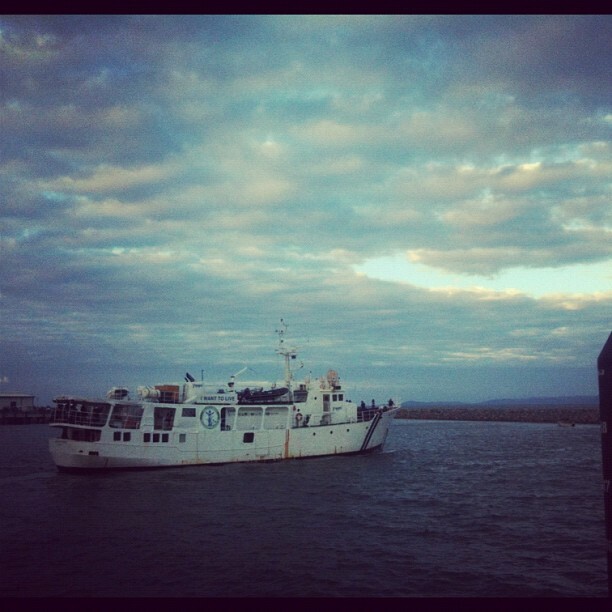 On board the ship we’ll run dental and optometry and basic health care clinics. I haven’t been on an outreach like this in years now. Years. To a YWAMer, that’s like slow death. Longing to do what I joined this mission to do. Longing to be in the nations, helping people, helping people help themselves. Helping people to know God. Today we visited the Ship to look at hte rooms and decide where the best place for our little family to stay will be. That little space created a lot of excitement in my heart. Even though we’ve been planning this outreach for a long time now, today’s short visit to the Ship just made it all seem real. Q for you: Have you taken your family on an outreach before? Would you like to?